*1 student successfully placed in the TPSMEA Region Choir at the high school level. *3 students successfully placed in the TMEA Region Choir at the middle school level. *13 students performed a solo in the TPSMEA Solo and Ensemble Competition. Twelve received a Superior (I) rating and one received an Excellent (II) rating. The Ladies' and Men's Choirs competed in the Hurricane Harbor Choral Festival. Both choirs received a Superior (I) rating. *1 student successfully placed in the TMEA District Choir at the high school level. *6 students successfully placed in the TMEA Region Choir at the middle school level. *14 students performed a solo in the TPSMEA Solo and Ensemble Competition. 12 received a Superior (I) rating and 2 received an Excellent (II) rating. ​*4 students successfully placed in the TMEA Region Choir at the high school level. *8 students successfully placed in the TMEA Region Choir at the middle school level. 35 schools competed; we had the 4th most mixed choir members and the 3rd most men out of all of the schools. *25 students performed a solo in the TPSMEA Solo and Ensemble Competition. 22 received a Superior (I) rating and 3 received an Excellant (II) rating. *4 students were selected to sing in the Texas Choral Directors Association Middle School Honor Choir, 800 auditioned and 200 made the choir. ​*2 students successfully placed in the TMEA Region Choir at the high school level. 7 students successfully placed in the TMEA District Choir. 17 schools competed; we had the 6th most district choir members out of all of the schools. *8 students successfully placed in the TMEA Region Choir at the middle school level. 35 schools competed; we had the 6th most mixed choir members and the 4th most men out of all of the schools. ​*28 students performed a solo in the TPSMEA Solo and Ensemble Competition. 28 received a Superior (I) rating. *The Men's and Ladies' Choirs competed in the TPSMEA Concert and Sight-reading Contest. Both Choirs earned a sweepstakes. They received a superior rating (I) from all of the judges. ​*5 students were selected to sing in the Texas Choral Directors Association Elementary School Honor Choir, 800 auditioned and 170 made the choir. 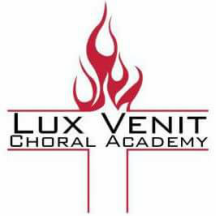 Lux Venit had the 3rd most students out of all of the choirs in Texas. ​*8 students successfully placed in the TMEA Region Choir at the high school level. 9 students successfully placed in the TMEA District Choir. *8 students successfully placed in the TMEA Region Choir at the middle school level. 28 schools competed; we had the 7th most mixed choir members and the 6th most Ladies mixed out of all of the schools. ​*55 students performed a solo in the Solo and Ensemble Competition. 55 received a Superior (I) rating. *Chorale performed at the Meyerson and took home a Superior (I) rating. Men's and Ladies' Choirs competed at the Hurricane Harbor Choral Festival. Both choirs earned a Superior (I) rating. ​*3 students were selected to sing in the Texas Choral Directors Association Middle School Honor Choir, 800 auditioned and 160 made the choir. *9 students successfully placed in the TMEA Region Choir at the middle school level. 28 schools competed; we had the 5th most mixed choir members and the 5th most Men's mixed out of all of the schools. ​*Over 60 students performed a solo in the Solo and Ensemble Competition and received a Superior (I) rating. *Chorale performed at the Bluebonnet Festival and took home a Superior (I) rating and Best in Class. Men's and Ladies' Choirs competed at the Hurricane Harbor Choral Festival. Both choirs earned a Superior (I) rating. The Ladies choir won Best in Class. ​*6 students were selected to sing in the Texas Choral Directors Association Elementary School Honor Choir, 800 auditioned and 160 made the choir. We had the 3rd most out of all the schools.